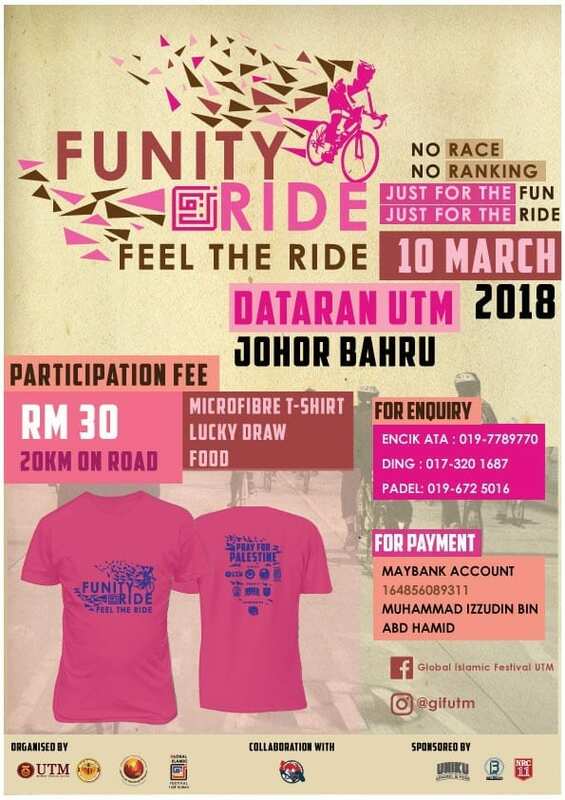 Global Islamic Festival UTM (GIF) is organizing FUNITY RIDE 2018 with collaboration of Orang Johor Cycling Team (OJCT). This event is open to anyone who is interested in cycling sports. The total distance on road is 20km. All are welcome to join this event.